Contenders who wish to apply for the DPS Recruitment 2018, they can apply with the help of this page. The higher officials of the Department of Atomic Energy, Directorate of Purchase & Stores (DPS) had invited the Online Application Forms for the 34 Upper Division Clerk, Junior Purchase Assistant, Junior Storekeeper Posts @ dae.nic.in. Moreover, candidates should apply only from that site. Grab the complete information regarding the परमाणु ऊर्जा विभाग, खरीद और दुकान निदेशालय Jobs 2018 from here. Aspirants can apply in between 1st September 2018 and 30th September 2018. The details like the Eligibility Criteria, Application Fee, Application Process and also the Selection Process, Pay Scale and the important dates for the DPS Openings 2018 mentioned on this page. Furthermore, at the end of this page, we have given the direct links to download the Official DPS Recruitment 2018 Notification. 1.7 How To Apply For DPS Recruitment 2018? The total number of Vacancies open for the UDC, JPA, JSK is 34. Check the below-mentioned Eligibility Criteria under the DPS Recruitment 2018. Educational Qualifications – Any Degree of a recognized University with an aggregate of minimum 50% marks. Minimum speed of 30w.p.m. in typewriting in English. Age Limit – Applying candidates should have 18 years minimum and 27 years maximum. Relaxation in upper age limit, up to a maximum of 5 years for SC/ST candidates and 3 years for OBC competitors. Relaxation in upper age limit for PH candidates: UR- 10 years, SC/ST- 15 years and OBC – 13 years. Relaxation in the upper age limit of 5 years shall be admissible to all persons who had ordinarily been domiciled in Kashmir Division of the state of J&K during the period from the 1st day of January 1980 to the 31st day of December 1989. Relaxation in the upper age limit of 5 years shall apply to children/family members of those who died in the 1984 riots. For departmental nominees who have rendered not less than 3 years continuous and regular service. The officials of the DPS set no Application Fee for the DPS Recruitment 2018. Selected candidates in the DPS Recruitment 2018 will get the Pay Band as Level 4 in the Pay Matrix. Initial pay INR 25500. Plus allowable as per the Central Government Rules. Initial Screening will make परमाणु ऊर्जा विभाग, खरीद और दुकान निदेशालय Selection Process 2018 under the DPS Recruitment 2018 and then qualifying in the following combined competitive examinations for all the posts. After scrutiny of applications, eligible candidates will be issued with admit card to appear in the Competitive Written Examination. The test will be held in Mumbai. The details of venues for the written examination will be notified later on this website. Those who qualify in the DPS Written Examination will have to appear for Document Verification in Mumbai. How To Apply For DPS Recruitment 2018? Visit the official site of the Department of Atomic Energy, Directorate of Purchase & Stores (DPS) to apply for the DPS Recruitment 2018 @ dae.nic.in. 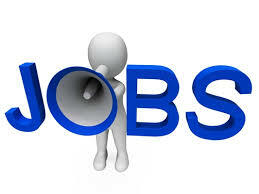 Click on “Careers” section and select the “Recruitment For BARC” on the home page. Read all the instruction given on the Official Notification. Furthermore, click on Apply Online in the “Job Application” tab. Up next, fill the application form with all the accurate information. Candidates are required to upload clear passport size photograph and signature in .jpg or .jpeg format while applying. Size of photograph and signature should not be more than 50KB each. Submit the form and also take the printed copy of it. For any queries regarding the DPS Recruitment 2018, you can visit our Sarkari Naukri. Also, you can bookmark this page for the exciting stuff.